Beach View Condo in Bavaro, Punta Cana - Up to 8 guests ! If you are looking for a large group accommodation and want to have a great beach holiday, you will enjoy our spacious private penthouse. Feel the ocean breeze entering through the window and filling this bright room. 2-level private penthouse with everything you might need for a comfortable stay. Enjoy wonderful views of the surrounding area, as well as BBQ with a dining area and sun loungers. 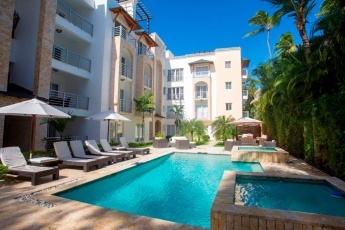 You will have access to the swimming pool of the gated community. It is equipped with sun loungers so you can have a great time here. The penthouse is located just 3 min from the world-famous Playa Turquesa beach. A huge terrace with BBQ and chaise lounges at your disposal! Sunbathe here in the afternoon and make a BBQ party in the evening! Green plants will help you relax and have a good rest. Recharge your batteries on this large and comfortable bed with soft pillows and fresh linen. Quality materials and textiles will help you feel at home. The bedroom is cute and full of natural light. You will enjoy staying here. Everything is prepared with love for our guests. For us, even the smallet details are important, because our priority is make you feel special! The bed is very comfortable with quality mattress and fresh linen. Wonderful clean and bright bedroom is prepared for your arrival. Just take a look at this bed. Sleep comfortable. Be fresh every single day. Enjoy your vacation! Put your things in a comfortable wardrobe, take a refreshing shower and rest on this soft and comfortable bed. This is exactly what you need after a long journey to Punta Cana. A bright bedroom with a comfy double bed for your sweet dreams. A set of high quality towels for each guest. Do not overload your luggage! In these lovely bedrooms you can gain strength after a day full of adventure. Сlean bathroom with all necessary accessories - because we care about our guests! Clean bathroom with all necessary accessories - because we care about our guests! For us, even the smallest details are important, because our priority is to make your holiday unforgettable and perfect. Feel special! Clean stylish bathroom with all necessary accessories - because we care about our guests! Relax on the sofa watching TV or surfing the Internet. Free Wi-Fi throughout the penthouse. Amazing accommodation for a family holiday. Really big apartment! You can see that the apartment is really spacious and can accommodate a lot of people. There is a dining area with a large table. Cook breakfast yourself and gather at the table. Spend time having interesting conversations with your loved ones on these cozy sofas. A wooden spiral staircase adds a special charm to the cozy apartment. Pleasant colors, natural light and plants make the atmosphere especially cozy. We take care of everything to make you feel right at home. The windows are on the sunny side. You can enjoy wonderful views on the balcony. Sit here and watch TV enjoying your mojito or juice. The furniture is new and comfortable. We make every effort to make your stay pleasant and comfortable. If you like to cook, you will be pleased with our kitchen equipped with modern appliances and kitchenware. Just take a look at this kitchen. Fresh and modern. You can cook your breakfast here. And enjoy your coffee. Start the day with fruit or fruit juice and feel fresh in the morning. You can sit on comfortable sofas on the balcony and enjoy the good weather. You can spend the evenings with your friends on a big terrace chatterring or cooking a delicious BBQ blowing your neighbors over with its mouth-watering aroma. You can see the ocean from the balcony. The beach is really very close. The balcony has modern and stylish furniture. It's a pleasure to spend time relaxing here. Several comfortable sun loungers are at your disposal. You can sunbathe on the terrace. Relax enjoying the sun and ocean breeze. The terrace is spacious and sunny. Great opportunity to spend a lot of time outdoors. Fresh delicious tropical fruits will make your stay perfect. Very nice residence. You can feel completely safe here, it is gated. This gorgeous 4-BR penthouse in a beautiful private gated community with swimming pools, equipped with lounges, is located just 3 min from the world-famous Playa Turquesa beach. Have you got tired of the beach? Take a refreshing swim in the pool, located just a few steps from the apartment. Do you want a set of pictures from the paradise? Book right now your vacation in Punta Cana! Enjoy the lounge atmosphere on the beach! You’ll be within walking distance of a supermarket, two bakeries and two grocery stores, making it easy to keep the kitchen stocked during your stay. You will find a pharmacy next to the apartment. Amazing location in a private gated community near the beach! Book it now! Are you looking for an apartment to enjoy fancy time spended by the ocean? We have the best option for you. This spacious private penthouse offers 4 large, comfortable bedrooms that are beautifully arranged to ensure maximum privacy for all guests. The modern minimal design of the apartment underlines the details and the colors. Feel a fresh sea breeze and bright sunlight filling these cozy and spacious rooms. 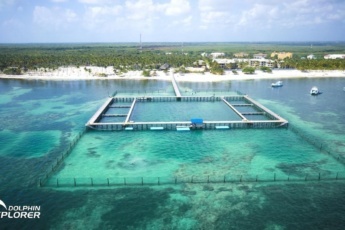 Just imagine this… You get off your plane, arrive at Punta Cana, the one large 1600 sq. 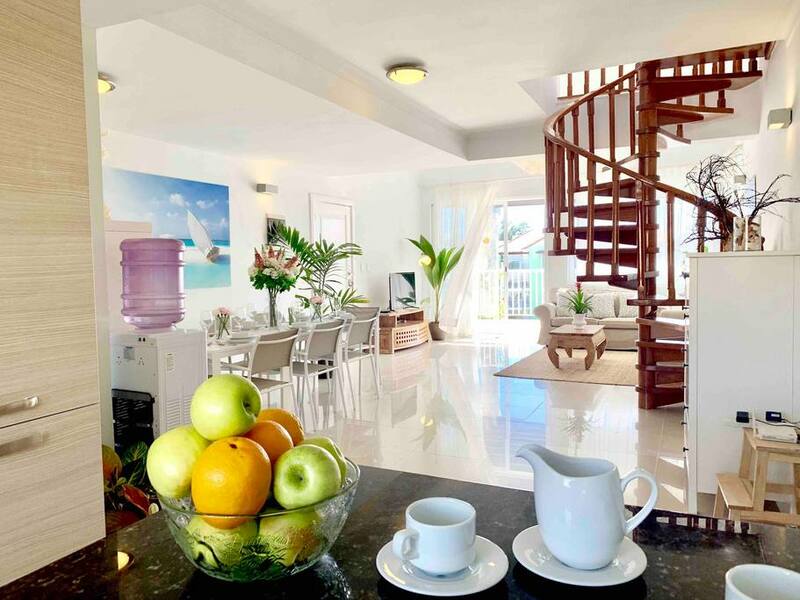 ft., secure, private 4-bedroom, 2-level stunning Penthouse, located on the 4th floor by the beach. 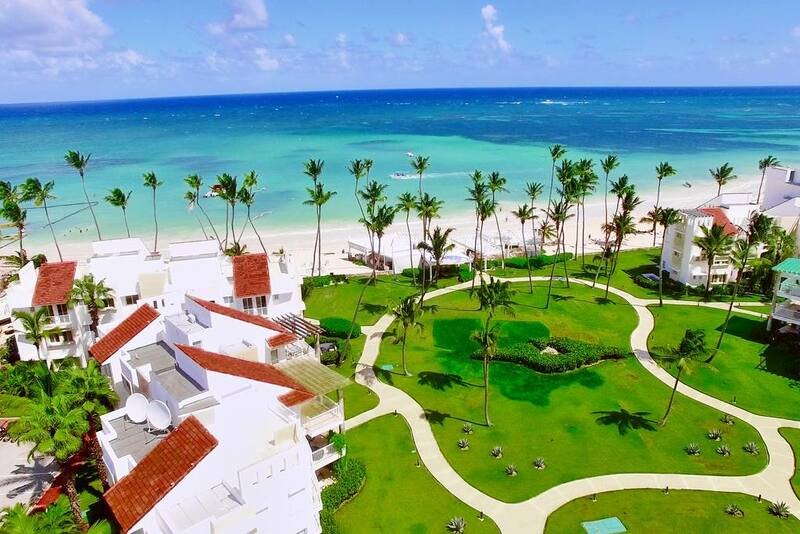 This spacious penthouse has the most centric location in Punta Cana/Bavaro! Set on the world-famous white-sand Playa Turquesa beach, it is near international restaurants and bars. Moreover, ice-cream shops, shopping centers, and gift-shops are all within walking distance. And, of course, world-class cigars and cocktails – just five (5) minutes stroll down the beach. Excellent vacations start here with a host positively reviewed by 800 guests, who appreciated our attention and care! Book this stylish penthouse with a unique private terrace, where you can enjoy a relaxing atmosphere of a pleasant conversation with your beloved ones seating on one of the comfortable sofas of our trendy lounge space or enjoy sunbathing sipping a cool exotic cocktail or fresh juice. Located within a three-minute walking distance from the world famous Bavaro beach. Five! (5) minute walking distance to the best restaurants in the area, bars, and shops. Do you want MORE SERVICES? For your total comfort, we can organize transportation, massage, excursions, maid service, cooking services, and even a private event for you! Just send me a message! Look at these bright modern rooms. Do you feel the unique colorful gamma of the details that make this apartment so charming? This private penthouse has everything you need to just come, check-in and forget about everything – it is fully equipped and ready to serve you! It’s a 2-level apartment, on the 4th floor, and it’s absolutely private. Enjoy the privacy, serenity, and luxury. It has all necessary things you may need – so do not overload your luggage! and much more for your comfort just to feel like at home away from home! There is a gorgeous residence pool if you get tired of the ocean, which, by the way, is just in 3 minutes away. Here are more details about the space of our private beach penthouse. Room by room. You have access to an absolutely PRIVATE space. It has 4 BEDROOMS, 4 Bathrooms, kitchen, laundry and a large PRIVATE lovely terrace with BBQ. Upon your arrival, one of my team will meet you personally, will check you in, so you’ll feel comfortable right after your fast and easy check-in. As you step onto the ground floor of the apartment you see the large living room area. Surrounded by the fresh ocean breeze and bright sunshine entering through the wide terrace doors. Next, to the living room, you find a beautifully arranged open-plan, dine-in kitchen. The kitchen is fully equipped with quality appliances. Full-size fridge, and everything you need for a perfect stay. Of course, you have a flat screen television with cable and the wireless high-speed Internet. There are a swimming pool and chaise lounges available for our guests in the residential area. Let us know the approximate time of your arrival, or let us organize a transportation for you. Upon your arrival, your personal assistant will check you in and provide personal information and personalized guidance. We are available to organize all touristic services under your request. Please, wish list my property so you can find it fast when you need it! This apartment is perfect for big groups, families and your special events. Just let us know and we will organize a perfect event for you. This private 2-level penthouse is set just beside the world-famous Turquesa beach in the heart of Bavaro/Punta Cana. It’s a true paradise! 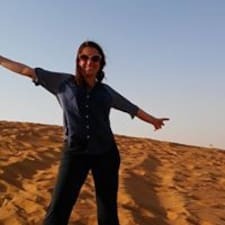 International cuisine restaurants, bars, stores, clubs, and, of course, the best white-sand beaches and the ocean, where you get an unforgettable experience of parasailing, scuba diving, snorkeling, kitesurfing, – everything is within walking distance from this apartment. 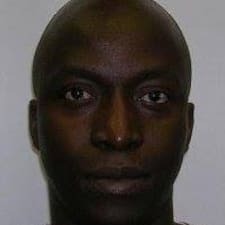 Just enjoy your stay! Experience the culinary scene by booking a table at any one of the seven restaurants within walking distance, which include Don Pio Cuban Restaurant, Nam Nam Restaurant, and Garry’s Sport and Grill. Those who enjoy recreational activities can stay active with a daily workout at the fitness center, a round of holes at the golf center, a game of volleyball on the beach, or surfing and scuba diving. After that, refresh with tropical fruits offered by local vendors. If you’d like to experience other beaches in the area, go to Punta Cana Village and Playa Blanca beach—both a 20-minute drive away. On low-key days, enjoy yourself for a few hours with a treatment at the spa, just next door to your rental. 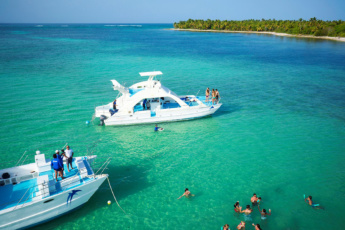 The vibrant Bavaro/Punta Cana area has something to offer for all types of guests. Take a family-friendly adventure to Dolphin Explorer Park (a half hour away) or Manati Park (15 minutes away). For the shoppers in your group, there are Palma Real Shopping Village and San Juan Shopping Mall, both within a 15-minute drive. And when you’re ready for a little nightlife, a 10-minute drive will land you at a casino, and in 20 minutes you can be cutting it up at the Coco Bongo Disco Club. You’ll be within walking distance away from a supermarket, two bakeries and two grocery stores, making it easy to keep the kitchen stocked during your stay. There are plenty of taxi services; if you prefer to have a special transfer or to rent a car, just let us know and we will definitely help you. This cozy 4 bedroom penthouse is set in the MOST CENTRAL LOCATION of Bavaro/Punta Cana! The location couldn’t have been better! When would you like to stay just a few steps from the pool, the most beautiful beach, and best restaurants in the area? Anna was sweet to help us go to the supermarket upon arrival and helped with restaurant recommendations throughout the trip. Loved the team at the beach bar, and entire staff on site at the beach club was friendly and helpful. Amenities were clean on the property. My family enjoyed our stay. The 4 bedrooms with private bathrooms were perfect for the 8 of us! I appreciate your quick response to my requests and questions. 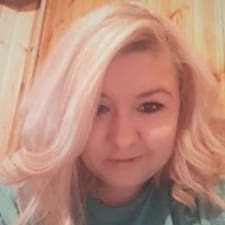 Check out was quick and simple. 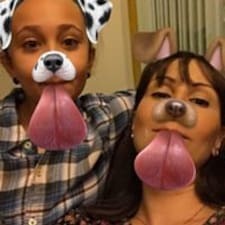 Excelente apartamento! 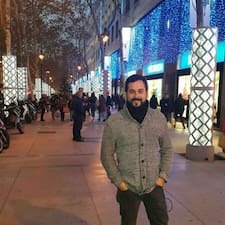 Muy cómodo y espacioso, ideal para un grupo familiar! 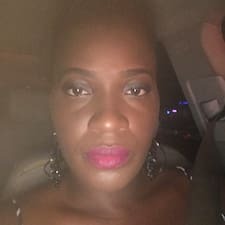 It was my second trip to Punta Cana. We decided to book Vasiliy's apartment with my girlfriend. We wanted to enjoy a beautiful evening by the sea with a romantic atmosphere in this lovely place. We did loved this apartment! There was everything we needed to spend our vacation. The most important to us was the location. I don't like to walk a lot. Maybe it's my bad habit that I am used to driving a car even to a store nearby. But the Penthouse is located just 3 minutes away from the world-famous Playa Turquesa Beach. It's great. Thank you, team! You organized the best vacation for me and my girlfriend. The place was great! Hospitality was off the charts! Better than expected for sure. Vasiliy and Ana did a great job making us feel comfortable. There is a night club close by that was a bit loud but about midnight it stopped. Nothing too crazy at this specific condo. There are some nice places to eat close by and the market is convenient. I recommend knowing how to communicate is spanish. It does make things easier. Clean and stylish with a short hop to a beautiful beach. 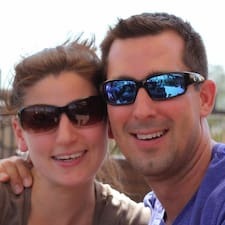 Vasiliy helped me make a last minute trip possible and was super quick to respond to all my questions and concerns. 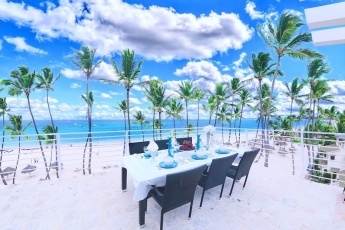 Is this Punta Cana Ocean View penthouse one of Apartments For Rent in Punta Cana? Yes, Punta Cana Ocean View penthouse is one of the best Apartments For Rent in Punta Cana. 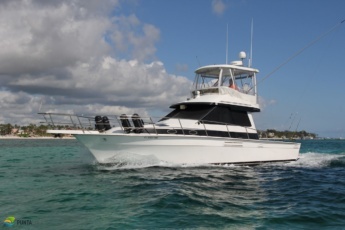 Book it and come with your family or friends to enjoy TOP Punta Cana Beaches. How can I book this Punta Cana Beach Apartment? 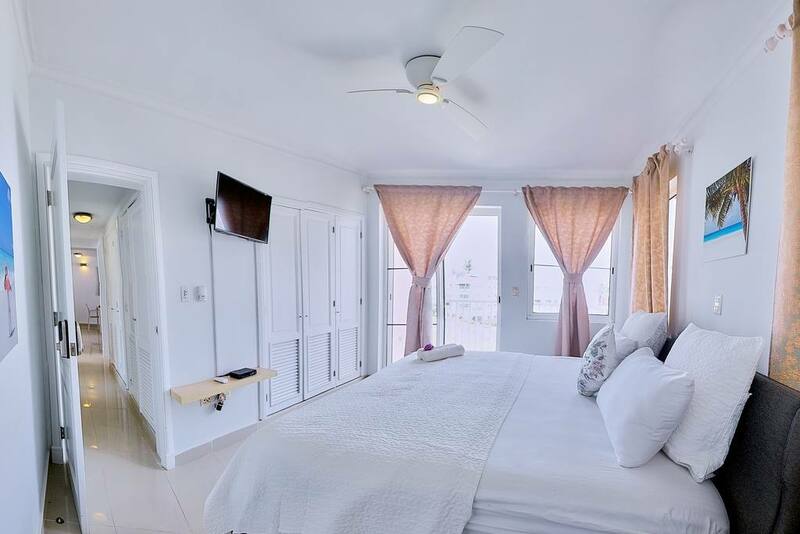 You can book this Punta Cana Beach Apartment with a Direct Booking Punta Cana without any commission fee on this page or book it on Airbnb Punta Cana, Home Away Punta Cana, Booking.com Punta Cana and TripAdvisor Punta Cana. Is there a beach within walking distance from this Punta Cana Vacation Rental? 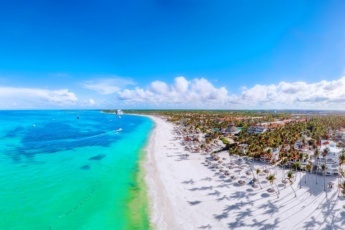 Our Punta Cana Vacation Rental is located just a few steps from Turquesa Beach in Punta Cana. 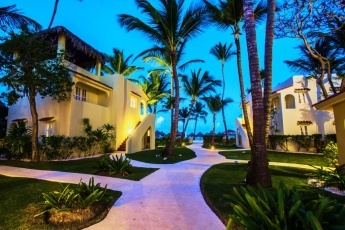 This Punta Cana Vacation Rental is one of the best Playa Turquesa Rentals. 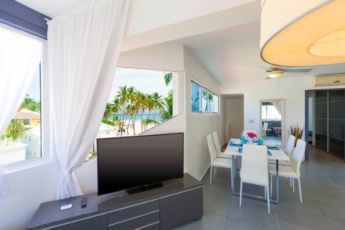 Is this Punta Cana Beach Front apartment situated at Turquesa Beach Punta Cana? Yes, our spacious and modern Punta Cana Beach Front apartment is located at the famous Turquesa Beach Punta Cana. It is one of the best Playa Turquesa Rentals. This charming Punta Cana Ocean View Vacation Rental has 4 bedrooms and accommodates up to 8 guests. Book right now your Holiday To Punta Cana with a Direct Booking Punta Cana without any commission fee. Does this Dominican Republic Beach Vacation rental serve as a family resort? 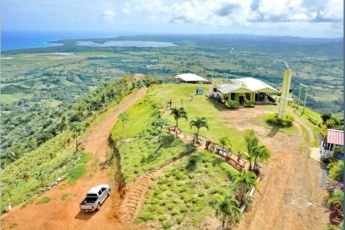 This Dominican Republic Beach Vacation rental is a good choice for a company of friends or family. It it spacious and very comfortable. This is one of the best Playa Turquesa Rentals and accommodates up to 8 guests. It is set a few steps from the beach and a huge pool. 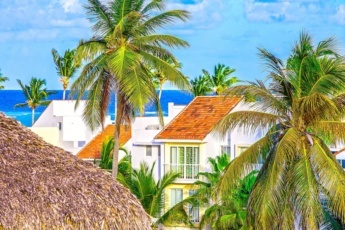 Book this Punta Cana Beach Property and enjoy Bavaro beach, visit Saona island, El Limon waterfall, Scape Park, enjoy Punta Cana Snorkeling Excursions and seadiving. Are there many Vacation Rentals in Punta Cana? There are Apartments For Rent in Punta Cana. Our Punta Cana Ocean View Rental is a perfect one with an excellent ocean view, set a few steps from the beach and a huge swimming pool. We advise you to book an apartment for your stay well in advance. Do the rooms at this Punta Cana Ocean View Condo have an internet connection? Yes, our Punta Cana Ocean View Rental has Wi-Fi. So that you will stay in touch. Is this Punta Cana Beach Front apartment a secure Vacation Rental in Punta Cana? 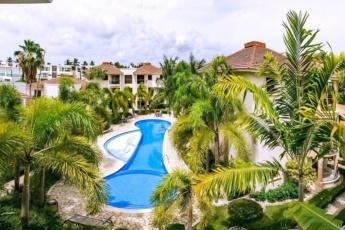 This Punta Cana Ocean View Condo is one of the Apartments For Rent in Bavaro Punta Cana that are situated in gated communities protected by 24/7 security on-site. 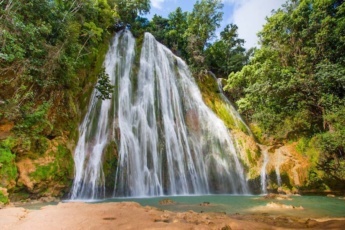 The peak season or high season in Punta Cana falls on the period from December to March. Although the weather is pleasant during the year, these months are the coldest months in the nothern countries and tourists are looking for a warm and pleasant weather that the Dominican Republic provides. Be aware to book your Punta Cana vacation rental much in advance for this period. This Punta Cana Ocean View Apartment is a safe private apartment located in a gated complex protected by 24/7 security on-site. However, we recommend to exercise increased caution in the Dominican Republic due to crime. 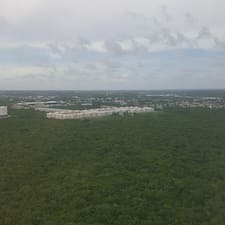 Can I book a long term rental apartments in Punta Cana? You can book our Punta Cana Beach Front Apartment set at Playa Turquesa Punta Cana to enjoy your long term unique vacation in Punta Cana. Everything Punta Cana offers a wide range of tours and the best excursions in Punta Cana for every taste to bring new vivid impressions. 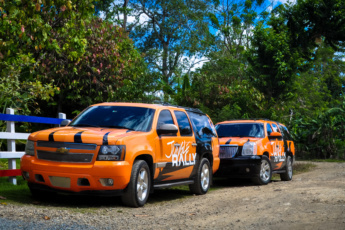 Please, check out the list of Punta Cana excursions on this web site and use the opportunity to book it online.